PAPA ROBBIE.NET: Saddam To Die By Hanging? 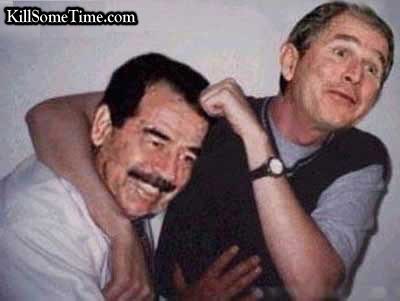 Saddam Hussein was found guilty and sentenced to death. What about the members of the U.S. government that had him on their payroll while he slaughtered thousands of Iranians? Does that count? Oh wait, I'm being logical....Nevermind.